In addition to the seasonal festivals, witches and pagans celebrate the lunar cycles, or the Esbats. As the moon moves through her phases, we honor the triple-form of the Goddess. With the waxing moon, we honor the Maiden; with the full, the Mother; and with the waning, the Crone. At the new moon, the Goddess is reborn, and many witches choose to work with either the Crone or the Maiden energy; it is a time for releasing what no longer serves, as well as setting intentions. The full moon is the most popular time for covens to meet and work magic. Through connection with the Mother energy, any type of magic will receive a power boost, but especially ceremonies for invocation, manifestation, and healing. Each moon, or lunar cycle, is known by different names, depending on tradition, and each comes with its own energy and influence for its season. Below is a list of the Esbats as named by Gerald Gardner in the Wiccan tradition. This can be the hardest time of year for many people. The cold and dark of January reminds us, even if only subconsciously, of death and affects our moods and behaviors. If we are fortunate enough to have food and shelter to sustain us through winter, then we may move beyond the physical to consider the spiritual significance of this time. What does the cold have to teach us? What do we need to learn about stillness, darkness, life and death? Another name for the Cold Moon is the Wolf Moon. Some say this is because in the deepest of winter our ancestors would hear the howls of dying wolves who could not find enough prey to hunt. Some say this is a time to remember the wolf and its pack mentality. We must huddle together, combine our warmth to survive. This time reminds us that we are social creatures. Each of us needs his pack, her tribe, our families. Do we have the support network we need? If not, the Wolf Moon is the perfect time to call for it. As winter gives way to spring, the transition brings storms. This is where March’s full moon gets its name. “In like a lion, out like a lamb,” the saying goes. For the past few weeks, our bodies have begun reawakening from their winter stillness. We’ve reached the point where we’ve “had it” with the cold weather and crave the sun. Our energy is pent up and wants to burst out of us like lightning and thunder. This is a time to unlock whatever is inside us that wants to be free. That means it’s time for spring-cleaning. This act is more than just a chore. It’s a form of magic in its own rite. As we shake off the cobwebs of winter and declutter our homes, we make space for new energy to move us and through us into our next season. The March full moon is also known as the Worm Moon, because the ground is thawing and earthworms appearing. The quickening has transitioned to the first movements of life. Situated between Samhain and Yule, the Mourning Moon is a time to observe the transition from death to rebirth. At Samhain, we honored our dead and gave them rest, and now we mourn, so that we may be ready to receive fully the gift of new life. Mourning is a necessary process. We mourn the friends and family who have passed away from this life. We mourn the end of the harvest and the absence of the sun. We mourn lost relationships and failed ventures. We mourn stories that didn’t go as expected. We mourn, and then we let go. Sometimes, mourning has an aspect of thanksgiving. Although we feel loss, we are grateful for the blessings and lessons we have gained, for they influence who we shall be in the next cycle of our life. Ultimately, this is the time when we let go, so that we may move on. December’s full moon is named aptly, if a bit on the nose. The nights are indeed long in December, and the cold has begun to take effect on us. We are driven inside by necessity, both physically and spiritually. When we are not distracted by activity, we are free to notice our connections, to ourselves and to nature and to others. This is a time to draw close to loved ones. Traditionally, the Long Night’s Moon teaches us to evaluate the trials and tribulations we have gone through in the last year. With the previous moon, we let go of any baggage created by these trials. Now, we can evaluate them. What did they teach us? How have we grown? When we understand what we have gained from our struggles, we may prepare for what lies ahead. Our challenges are designed specifically for us. Our successes are exactly what we need. It is important that we give ourselves credit for the successes we’ve had, no matter how big or small. Gratitude is some of the most powerful magic there is. 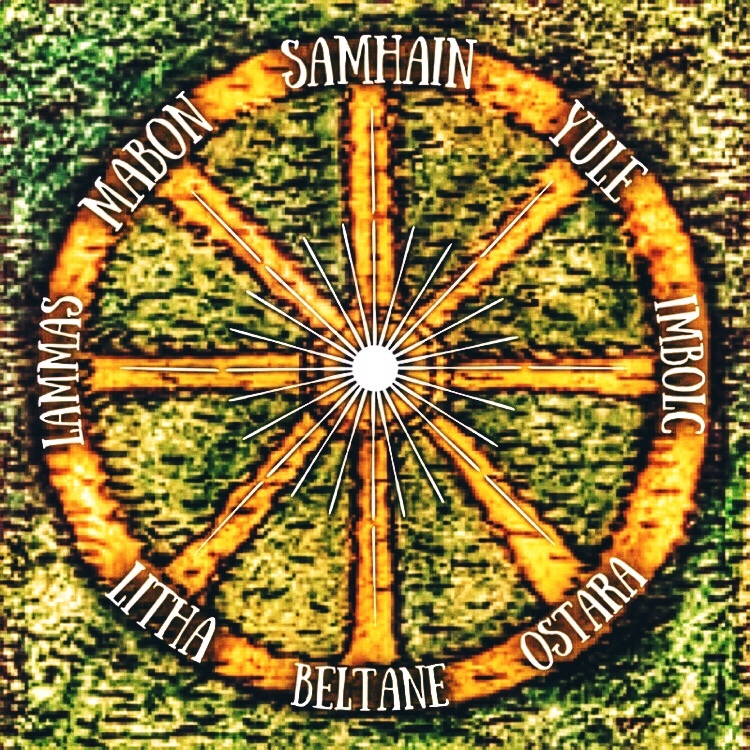 If we combine it with Yule’s magic of rebirth, we can harness incredible power to manifest our intentions in our upcoming cycle–intentions we set with the greater understanding of our spiritual story that we acquire with the energy of the Long Night’s Moon. Shakespeare coined the term “blue moon” to describe something rare. A blue moon is the second full moon of any given month. It has the same energetic significance of all full moons, and likewise it is important to pay attention to its astrological correspondences.